OPINION | Iran and America : What is Next? 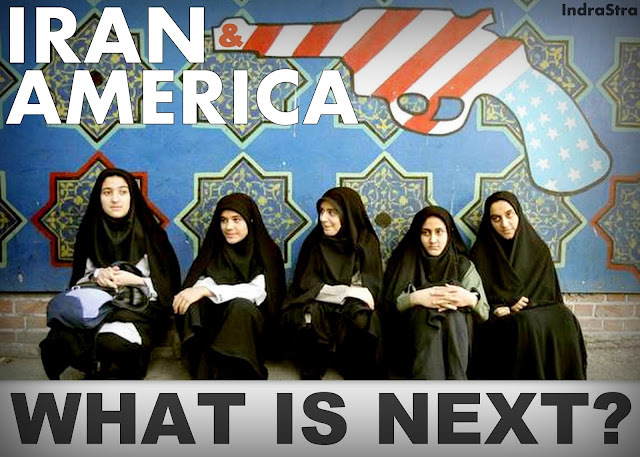 Home / Iran / Iraq / Opinion / Saudi Arabia / The Middle East / United States / OPINION | Iran and America : What is Next? Iraq holds an important place in Iran's revolutionary psyche. The "imposed" Iran -Iraq war (1980-1988), described as "Holy Defense" by Iranian officials was a pivotal event for the Islamic Republic. This "Holy Defense" not only cemented the nascent regime, but is often presented by the Iranian officials as the kind of fervour and sacrifices needed to preserve the Revolution. The Pasedaran-I Inquilab-I Islami (IRGC) owes much of its legitimacy and extensive political power on its "Defense" of the revolution during the war (Wehrey et al., 2009). Iran did not win the war, but instead suffered colossal physical destruction and countless loss of lives. Supreme Leader Ayatollah Ruhollah Khomeini drank the "poisoned chalice" and accepted the United Nations brokered ceasefire agreement between the two countries. Violence did stop, but enmity never ceased. The 2003 American led Invasion of Iraq on the pretext of Weapons of Mass Destruction, and Saddam Hussein's subsequent ouster thereof, extensive meddling of Iran in Iraqi political, religious and economic sectors thus began. Since Saddam Hussein’s fall, Iranians not only promoted and propagated their concept of velayat-e-fagih (Rule of Jurisprudent) but also arbitrated major political disputes between various factions and political parties. They also used varied means of actors and assets to sway the political discourse and to coerce the opponents into submission. Iran had an open field in Iraq. After the De-baathification and complete disbanding of Saddam's army, a deep sense of fear, mistrust and alienation gripped the Sunni Muslims for the fear of retribution from the now resurgent Shiites. Although the first American installed government was ostensibly multi-ethnic and superficially inclusive, but it did little to assuage the trepidation and genuine concerns of the Sunnis. Endemic corruption, sheer incompetence supplemented by utter nonfeasance in administrative as well as security matters only further aggravated the Iraqis. Sensing the massive resentment against the U.S installed government in Iraq, Islamists started to fish in troubled waters by giving a sectarian tinge to the administrative failures. Perceiving the opportunity, Al-Qaeda affiliated organisations began to prop up in a highly coordinated manner and massive propaganda and recruitment drive started. Jammat al- Tawhid wal-Jihad led by Abu Musab Al Zarqawi and various other jihadi outfits pledged allegiance to Osama bin Laden and announced the formation of Tanzim Qaidat al-jihad fi Bilad al-Rafidayn (2004) to coordinate their attacks on western and Iraqi security forces. In the first month of its existence, Tanzim executed Japanese national Shosei Koda after Japan refused to withdraw its troops within 48 hours. In December, Tanzim attacked holy cities of Najaf and nearby Karbala, killing sixty civilians all of them Shiites. Rage was mounting within conservative Shiites to retaliate to the gruesome killings of Shiites by Al-Qaeda. America had invaded Afghanistan just three years before Iraqi invasion, in retaliation to the gruesome attack mounted by Al-Qaeda based in Afghanistan on World Trade Center in New York; killing almost three thousand civilians. After Mullah Omar refused to extradite and expel Osama bin laden and Al-Qaeda - Osama had eliminated Ahmed shah Masood, (arch nemesis of Taliban) just few days before 9/11- American and British forces in tandem with Northern alliance launched Operation Enduring Freedom deposing Taliban and destroying the Al Qaeda bases. Iran , a key Northern Alliance backer provided tactical intelligence and military advisors to supplement the American campaign (fall of Mazar I Sharif) to oust the Taliban which had killed eleven Iranian diplomats in Mazar, threatened to invade Iran and summarily executed ethnic Shiites, only in the hope of a friendly dispensation in Afghanistan. However, the Bush Administration chose not to continue substantive diplomatic dialogue with Tehran on Afghanistan but instead included Iran in the “Axis of Evil". With American forces in both Iraq and Afghanistan far too close for comfort, Iran perceived this as a policy of Containment and next in line for the American attack. To counter American presence, Iran devised the strategy of bogging American forces down. It began supplying weapons and training Shiite militias (Jaish al Mahdi, Kataib hizballah, Asiab Ah al Haq, Muntazim al Badar) directly as well as though proxies, huge loss of lives ensued. However, soon these militias and the al- Qaeda affiliates got tangled in an internecine civil war causing massive bloodshed and colossal destruction. As a result sectarian schism in the society only widened, thereby entrenching the fault lines. Meanwhile the Arab spring was shaking the citadels of despots and dictators, Arab Street was abuzz with hope, the idea of justice and democracy had become contagious. People revolted against these tyrants and were repulsed by these inconsiderate autocrats. The winds of democracy blew far and wide. These gale force winds reached Syria in the early spring of 2011, and massive protests erupted against Bashar al Assad, an ally of Iran and Hizbollah. The conflict soon morphed from peaceful protests to an armed rebellion after massive crackdown and military sieges. The protests however soon took sectarian overtones; a United Nations Report in 2012 described the conflict as being "overtly sectarian in nature". All the parties to the conflict used sect as the basis for recruiting fighters and galvanising the core constituencies. Muslim Brotherhood dominated narrative, metamorphosed into a vicious and wanton cycle of carnage. Free Syrian Army with its Ikhwaan leanings was soon sidelined by more conservative extremists of the Salafist Brigades. These extremist groups like Liwaa al Tawhid, Suqur al Shaam, Jaysh al Islam, and Ansar al Shaam had no notion of democracy, justice or human rights whatsoever. As the chaos ensued, Al Qaeda through its affiliate Jabhat al Nusra stepped in with its signature style; suicide bombings. The slogans of democracy had long been replaced by call for "Sharia law" and "Caliphate". In order to buttress the Assad regime Iran not only provide weaponry, military advisors, financial aid, humanitarian supplies but mobilised Shiite militias like Hizbollah. Abu Fadl al Abbas, Jaish al Shaabi, Kataib Hizbollah, Kataib Sayyid al Shuhada , Jaysh al Muwahidin as well as Hazara's. Initially they used the pretext of protecting the Shiite holy shrines like that of Syeda Zainab, however when these groups got entrenched in battles in places like Qalamoun, Latakia and Homs; it became difficult to justify the pretext. With the public fallout between Abu Mohammed Al Joulani (Jabhat ul Nusra) and Abu Bakr al Baghdadi over the divergent methodology of social integration, fighting with the Syrian opposition and declaration of Caliphate, Baghdadi parted his ways with Jabhat all Nusra and forayed into Syria. Thus branding his organisation as Islamic State of Iraq and Levant (ISIL). With his ruthless campaign of beheadings, summary executions, intimidation and effective military strategies, he gained more territory and prominence in the jihadist circles. Thousands of young extremists as far as Australia, Chechnya, Mali, and Britain joined ISIS with hope of living in a Caliphate. In June 2014 ISIS had erased all the remnants of Sykes-Picot agreement. The forces of Islamic state were erupting across the border from Syria. Mosul had fallen. Salahuddin, Anbar, Diyala and Kirkuk had met the same fate. Irbil and Baghdad looked like being next. The American trained Iraqi armed forces in disarray vanished under the hammer blows of Baghdadi's fighters and Ba'ath Remnants. On June 13, Ayatollah Sistani, the most venerated Shia cleric in Iraq, issued a fatwa declaring limited jihad against the invading Islamic state fighters. Thousands of young Iraqi Shia men began to enlist in existing Shia militias with close ties to Iran or to form new such groups dubbed as hashad al-sha'bi (" the popular mobilisation"). Iran was quick to respond to the fall of Mosul; it began sending advisors and weapons to its neighbour within 48 hours of ISIL taking over the city (Daragahi et al., 2014). The United States, on the other hand did not begin airstrikes until two months later. This did not go unnoticed by the Iraqis. In a television interview, Prime Minister Abadi said, “When Baghdad was threatened; the Iranians did not hesitate to help us, and did not hesitate to help the Kurds when Irbil was threatened ... ". James Jeffrey, a former ambassador to Iraq said Obama administration may have made a mistake by not conducting limited airstrikes after the Islamic States’ initial advance. 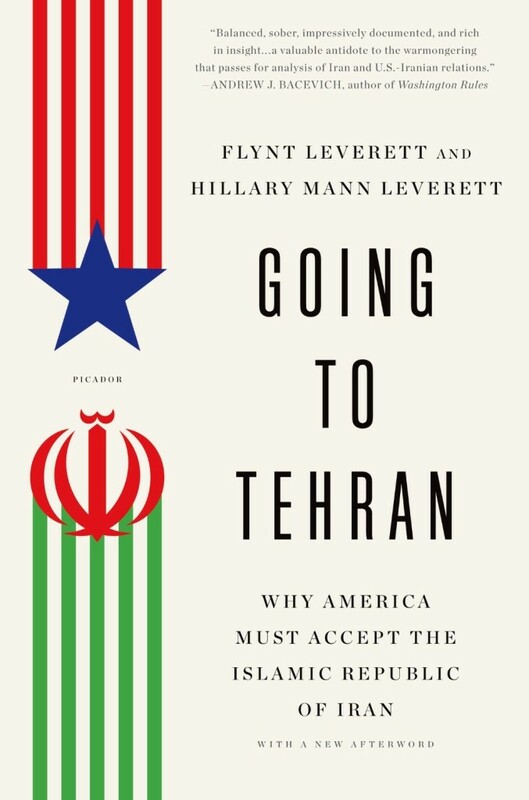 “The Iraqis were in desperate straits, and the ones who came to their rescue was Iran," Jeffrey said. “These guys will remember that." The recognition therefore of Iran's national security concerns could be part of why the U.S has accepted Tehran's involvement in Iraq, says J. Matthew McInnis, a resident fellow at the American Enterprise Institute who specialise in Iran. “We’re more consciously allowing Iranian activity in an area of our own national interest in a way that we would have resisted much more in the past," McInnis says. “At the same time , I think part of it is reality that it's impossible not to have Iran involved in this situation given that ISIS was actually threatening their own borders, so any nation is going to take a certain degree of action for self-defense purposes." In Iraq itself, the convergence of American and Iranian interests goes beyond just stopping ISIS. Iranian objectives in Iraq are defined by the experience of Saddam Hussein launching the Iran- Iraq War, an eighty-year-long conflict in which hundreds of thousands of Iranians died. While Tehran doesn't want to see an aggressive Iraq again, it certainly does not want unending instability in its neighbour to the west. Thus, the threat from ISIS creates convergence of interests that could see the U.S providing air support not just for Shiite militias but also for Iraqi security forces and Kurdish Peshmerga as all the three fight for ISIS. U.S - Iranian cooperation in Iraq could have the added advantage of reducing some paranoia out of the relationship between the two, which could improve their ability to conclude a final deal on Iran's nuclear program or reach agreements to abate the conflict in Syria. Cooperation may be the only way out.